From marketing to healthcare to finance, artificial intelligence (AI) and machine learning (ML) are infiltrating every industry, helping businesses automate the mundane to drive efficiency and predict outcomes that lead to better business decisions. 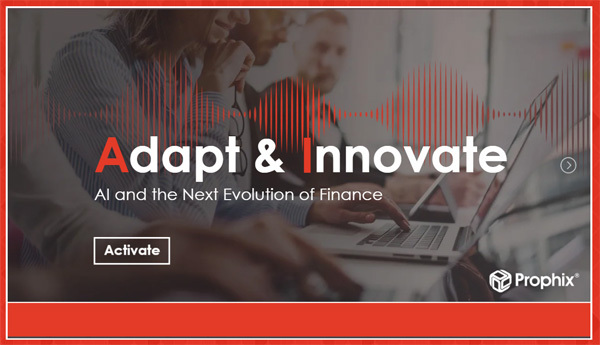 When it comes to the Office of Finance, Prophix—a leading provider of corporate performance management (CPM) software solutions—believes finance leaders have the opportunity to shape the future of business and take a more prominent seat at the leadership table. And of course, AI will be a critical transformation tool. However, many finance professionals aren’t exactly sure how, if, and when AI will impact their job roles and what they need to do to prepare. 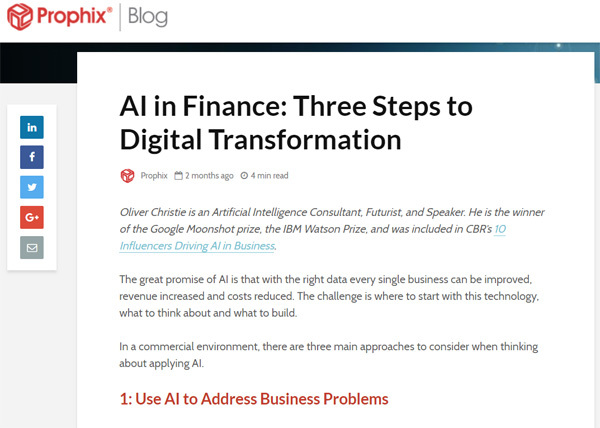 In order to spark conversation, answer burning questions about the current and future impact of AI and ML, and drive engagement—as well as build thought leadership in the space—Prophix once again partnered with TopRank Marketing to develop an integrated influencer content campaign, but with an interactive, multi-media twist. What were the results? Keep reading to find out. AI and ML are already impacting the finance industry—and with more disruption is on the horizon, we wanted to leverage some of the greatest minds in AI and finance to provide insight and advice to help readers prepare. 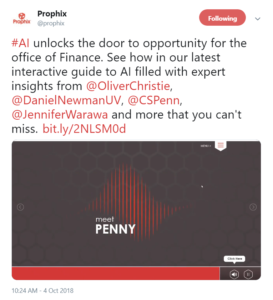 While the expert thoughts and contributions were the content bedrock, Penny—our AI-inspired, virtual assistant—helped readers self-navigate to topics of interest featuring text and audio influencer insights, which were housed in an interactive eBook. Penny not only proved to be a trusty guide, but also helped us make a topical connection, highlight influencers in a unique way, and drive active engagement. Ready to Create an Engaging Influencer Content Campaign? We’re ready to help you do just that. Learn more about our influencer content marketing services or get in touch with us today.